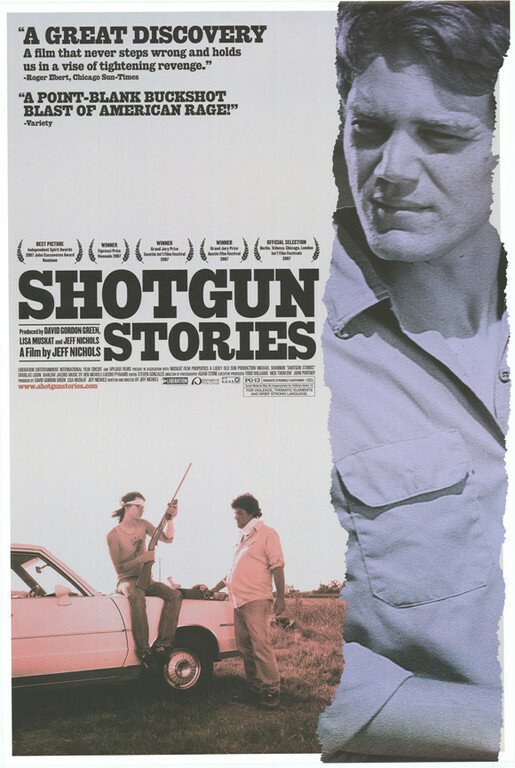 The first of director Jeff Nichols’s three films (2011’s Take Shelter and 2013’s Mud are also modern classics) and easily one of my favorites of the last decade, Shotgun Stories deals with a feud between two sets of half-brothers in Arkansas after the death of their father. Nichols is not afraid to undercut convention, and his debut is spare and haunted and goddamn perfect. 2. Nichols, as the director, is the one who gets and deserves a lot of the praise here, but I can’t help feeling like David Gordon Green, who produced Shotgun Stories, is responsible for shaping the vision of the film. The spirit of Green’s own debut masterpiece, George Washington (2000), pervades Shotgun Stories: It’s the same kind of quiet and transcendent film, as if ‘70s-era Malick tripped into the new rough south and pointed his camera in wonder. Shotgun Stories isn’t strange in the way George Washington is, but it relies on the same sort of whispery tension (and dark humor). It’s never easy, never run off the rails by slickness or convention. 3. The confrontations between the brothers are unpredictable in a way I very much associate with ‘70s crime films. I hope other young filmmakers take a page from Nichols, who is a master at sustaining tension and tone in hushed and brutally realistic scenes. The violence in this film is earned. So is the very threat of violence. 4. 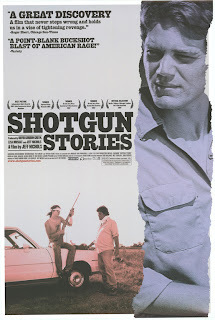 Like George Washington, Shotgun Stories gives us a south that is neither Hollywood’s twisted vision of the south nor the cartoonish redneck hell of much contemporary noir. This is the rough and real south, where people fight to get by, people who have lost a father or found a father, people who struggle to come to terms with what Faulkner called “the old fierce pull of blood.” In the end, this is a film about what we make or don’t make of chances we’re given. It’s about moving on, about learning to live well and truly in the world once blood has been spilled or is on our hands or has pooled at our feet. It’s a film that would serve us well to watch and rewatch, as we struggle against each other now and forever. Out of the Gutter Online offers easy-access commenting by the popular service, Disqus. You are encouraged to let the author of any piece you enjoy (or that you take issue with) know your reaction, and you are encouraged to interact with other visitors in the comment sections. Everyone appreciates feedback. If you contribute either fiction or nonfiction here, comment on other pieces and the authors of those pieces will comment on yours and everyone will benefit.